There is no doubt that buying ebooks, softwares, themes, templates and the likes using PayPal is VERY difficult for most Nigerians to do. 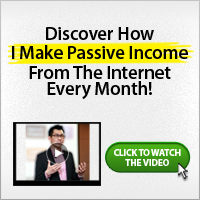 This blog teaches how to make money online. And there are times you would need to buy ebooks so that you can read them and apply. You would also need to do so many things that buying them using PayPal becomes an hindrance. Anyway, I buy stuff on PayPal and I will show you how in a jiffy. I am sure that you might have heard and read so many stories that you need a verified account to successfully operate PayPal. Of a truth you need to do that but that is not the final. I need you to put everything you have learned at the back of your mind and read what I have for you with a fresh mind. Recently, I purchased a WordPress Theme for one of my friends who requested for my WordPress Blog Setup and Maintenance service. I got the perfect theme but I needed to pay using PayPal. After creating an account with Theme Forest, I went ahead to buy the theme within few hours. I couldn’t use the first option because I needed a MoneyBrookers account which is not available for Nigerians too. I didn’t have to bother myself with that because I had a better option which is PayPal. Clicking on the ‘Buy Now (via PayPal)’ took me to the payment page where I needed to sign into my PayPal account. After which I successfully deposited the required amount for the WordPress theme, I was able to get the theme within few hours. After paying for the WordPress Theme with PayPal, I got a payment notification in my email address and I was able to successfully download the theme. So, how did I make the payment? 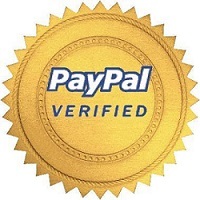 I use two methods, 1. without a verified PayPal account and 2. with a verified PayPal account. Whenever I need to do this, I get in touch with one of my friends in the United States who then helps me to make the payment. After which I go ahead and purchase whatever I needed to purchase. This is brilliant. I use his services at the rate of N 200 to $1. For example, if I needed $5, I would need to pay him 5×200 = N 1, 000 which is very okay by me. If you need his services too, you can contact me. With this manual, you would be able to buy stuffs every time you need to.